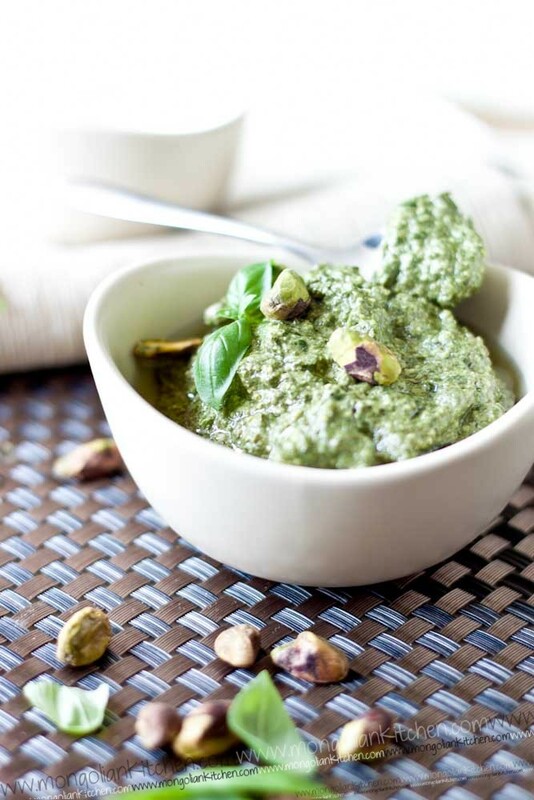 This is an updated version of our Pistachio Pesto Recipe as it has developed over time. Strangely we eat this quite a lot with spaghetti as it makes a quick weeknight dinner (topped with some fried mushrooms!). We also make it in batches as it keeps in the fridge. 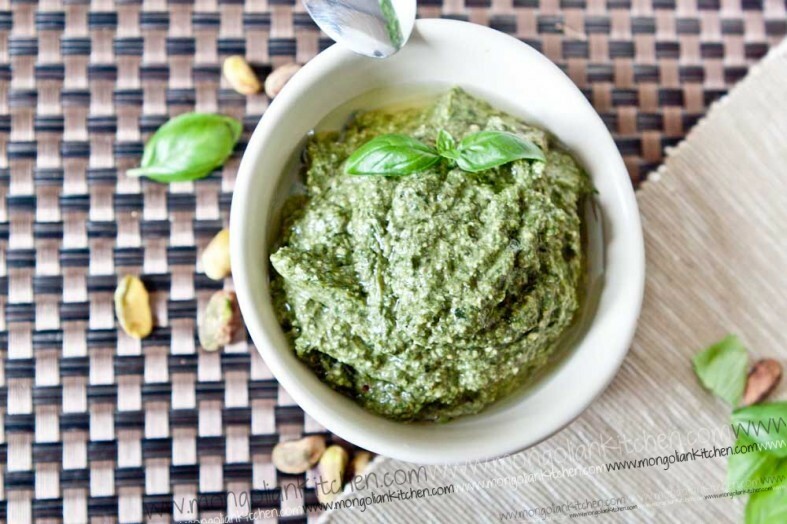 This pesto is very versatile and can be used in a lot of dishes. 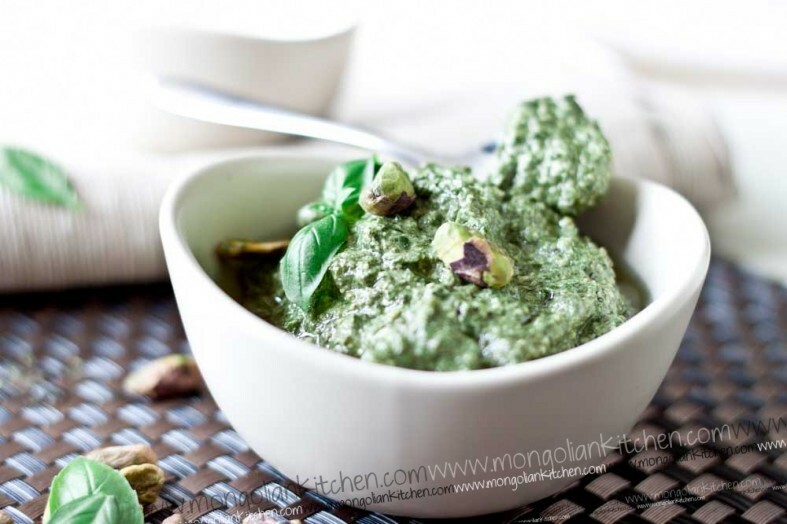 For example make a risotto and add a spoonful of pesto at the end to make a bright and fragrant meal. Try spreading it in a bagel with cheese and ham? This is a vegan version but you can just add parmesan cheese if you wish. 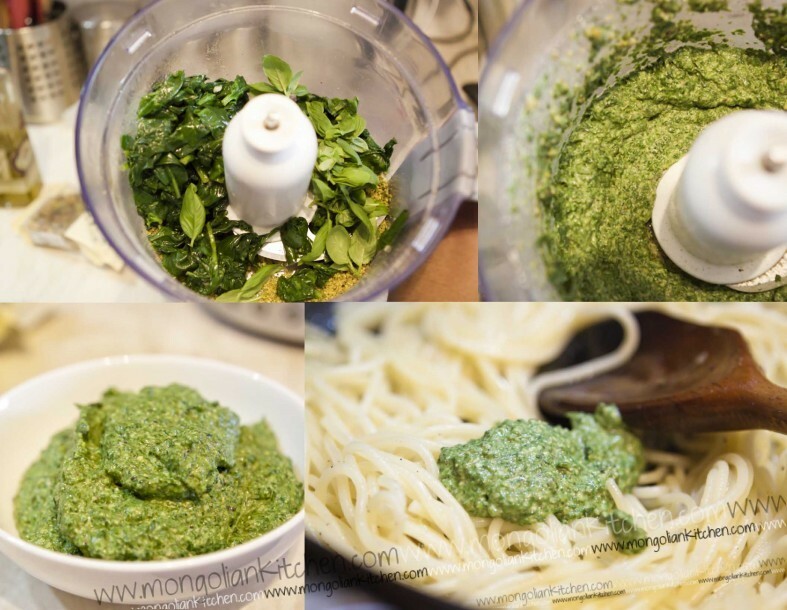 One of the differences between the original recipe and this one is that the spinach is first wilted very quickly, allowed to cook then blended to make the pesto. This seems to result in a more mellow flavour. 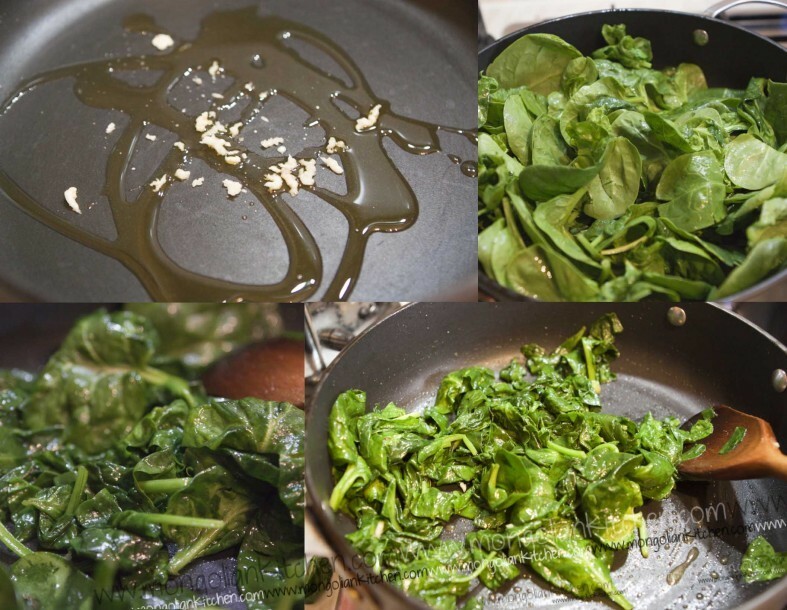 In a large frying pan add 1 tbsp olive oil. Add the spinach & basil to the pistachios, along with about 2-3 tbsp olive oil & the squeeze of lime. 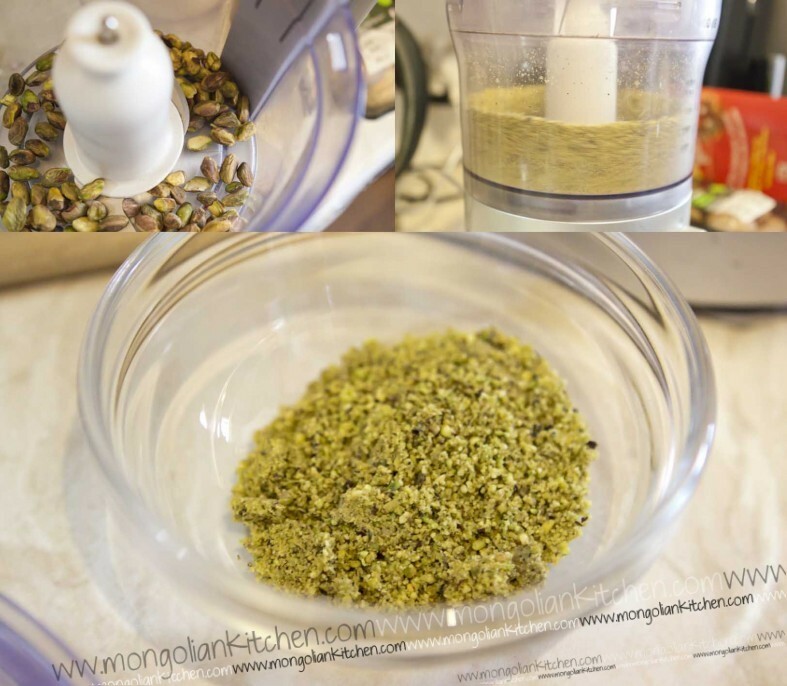 Blend and continue to add olive oil while it is blending until the mixture starts coming together like pesto. Taste for salt, adjust and you are ready to go!